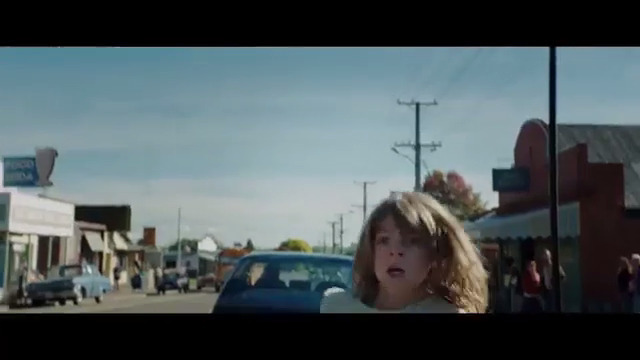 The small West Otago town of Tapanui (population of around 770) was transformed into the town of Millhaven, Douglas County (located somewhere in the USA state of Oregon) to film the remake of the Disney movie “Pete’s Dragon”. Around 250 cast and crew (including Robert Redford, Oakes Fegley and Bryce Dallas Howard) were in Tapanui during April 2015. Get the DVD version here. Check your region code here. Many of the businesses in Tapanui had make-overs for the filming, some of them appearing to have entirely new identities or functions, while others had only minor changes made to them. Filming also took place at Conical Hill at the site of a saw-mill which had been closed for a few years. The movie was released in the USA in August 2016. Sir Peter Jackson’s Weta Digital company also worked on the movie. Tapanui is located in West Otago, in the south of New Zealand’s South Island, close to the boundary with Southland. More information can be found about Tapanui here. A map of Tapanui can be found here. Apparently a location scout was looking at the old Burnside freezing works (which closed in 2008) in Dunedin as a possible location to build the sawmill required for the movie. It was suggested that the old Blue Mountain Lumber sawmill at Conical Hill (which closed in 2009), about 14km from Tapanui might be suitable instead. This proved to be the case with the additional advantage of the township of Tapanui becoming the forestry town of Millhaven in Douglas County, Oregon. different from the 2016 version. Filming took place in studios in Wellington and also in the Tokoroa forests before the cast and crew moved down to Tapanui. Filming took place in and around Tapanui and Conical Hill sawmill during the month of April 2015. Tapanui is a small rural town with only a limited amount of accommodation available. Even including hotels, motels, Bed and Breakfast places and other commercially available accommodation in the surrounding areas such as Lawrence, Gore and Mataura, there was not going to be enough accommodation available for the cast and crew of around 250 for what was initially going to be 3 weeks filming. To make up the shortfall, local residents were asked if they were prepared to lease their houses to the movie production company. One report says 55 houses were made available while a report on stuff.co.nz says 87 (did that figure include places additional to Tapanui?). Certainly, not everybody could be accommodated in Tapanui. In the end, houses from Lawrence to Mataura were used as well as hotels, motels and B&B’s in Gore and the surrounding areas. So Where Did Robert Redford Stay? Speculation was rife as to where Robert Redford would be staying. The most popular theory was that he would stay in Queenstown and fly in by helicopter as and when required. However, he actually stayed in a house just outside Tapanui. See what Robert thinks of Tapanui here. The intention of this website is to provide a permanent source of information about what happened in Tapanui from the view-point of the local residents and visitors to the town during the lead-up to and during the filming. Also, hopefully this will act as a guide for visitors to Tapanui/Millhaven. There is also a lot of information available on social media such as Facebook. There are many photos out there which are of far better quality that some of those that appear here at the moment (well, they will appear shortly!). If you have any photos that you are prepared to have appear here, please email them to info@millhaven.nz. If you can, please provide details as to where, when and what was happening. If you want “Photo courtesy of …….” to appear on or alongside the photo, please provide those details as well. Some of those people who appear in the movie as extras and those whose premises were used for filming have agreements with confidentiality clauses in them. We do NOT want anyone to break those agreements, but if anyone has stories about things that happened leading up to and during the filming that they wish to share, please email them to info@millhaven.nz. It is well known that rumours can quickly become “fact”. If you see anything on this website which is incorrect, please email and if possible supply the correct information. We want to provide facts not fiction. Just watched the movie with my family in Buffalo, NY… Your town and woodlands are beautiful. My husband andI knew when we saw this movie that we’ve seen this beautiful place before. I’m not from this town, but am from the most beautiful state of Oregon. What a perfect place to shoot majestical film. Good job!